With the first ever National Clean Air Day taking place this week, we're encouraging people to take steps to reduce air pollution. Individually, it might seem that people’s actions will only make a small difference but if we all do our bit, then the combined effect could really improve the air we breathe. 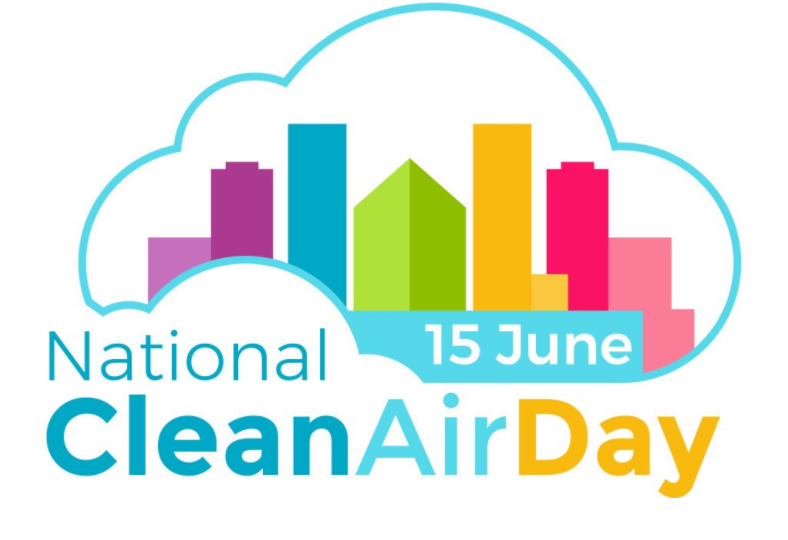 That is why PHE is supporting National Clean Air Day by advising councils to include air quality in their strategic plans, asking businesses to take measures to reduce air pollution and thereby improve fuel efficiency and the public to consider ways of changing their travel habits, particularly near schools. For example, we have recently helped draft guidelines that call on councils to consider introducing no idling areas outside schools, hospitals and in traffic related air pollution hotspots; businesses to schedule deliveries to minimise congestion, encourage staff to cycle to work and educate their drivers to develop an energy efficient style; and the public to consider leaving the car at home when possible and cycle, walk or take public transport. In line with this, Global Action Plan (GAP), the organiser of National Clean Air Day, is calling on people to switch off their engines when in traffic or stationary, proving it is safe to do so. They are also encouraging parents to speak to each other at the school gate about setting up car-sharing or a walking bus. And GAP is advising that people could reduce their exposure to air pollution by using quieter streets when walking or cycling. As recently as the Nineties it was felt that air pollution was no longer a major health issue in the United Kingdom. After all, legislation had made the great smogs of the Fifties a thing of the past. But evidence started to emerge that small particles emitted to the air from various sources, such as road transport, industry, agriculture and domestic fires, were still having a considerable effect on health. This type of air pollution is so small that it can’t be seen by the naked eye, but can get into our respiratory system. Other air pollutants, such as nitrogen dioxide and ozone, can also affect our health. Nitrogen dioxide is produced by burning fuel, whilst ozone is formed by chemical reactions in the air. It is estimated that long term exposure to particulate matter alone has an effect equivalent to 25,000 deaths a year in England by increasing the risk of diseases such as heart disease, stroke, respiratory disease and cancers. Indeed diesel engine exhaust, outdoor air pollution and particulate air pollution have been classified by the World Health Organization as carcinogenic. Air pollution can also worsen lung conditions such as Chronic Obstructive Pulmonary Disease (COPD) and asthma. In addition, air pollution can reduce lung development in children, which may increase symptoms in youngsters who develop conditions such as asthma. Evidence suggest that short-term exposure to air pollution also increases the risk of death, although the numbers are thought to be lower than for long-term exposure. And episodes of poor air quality can also make the symptoms of heart and lung conditions worse. That is why we have been working with Defra to help put out health advice when there are high pollution episodes in the UK, which generally last no more than a few days. This advice typically informs vulnerable groups when to reduce strenuous physical activity outdoors, and to follow their doctor’s advice about using medication when exercising. You can monitor daily air pollution levels online here. We can all do our bit to improve air quality. For example, by walking or cycling to work and school we can improve our health through exercise, limit air pollution and reduce carbon dioxide emissions, which are responsible for climate change. Everyone will need to do their bit if we are to significantly improve air quality. The impact of the individual household or business may be small, but the combined impact of actions taken by national and local government, large and small businesses and individuals will improve the air we breathe. Why aren't emergency measures kicking in ?